5 out of 5 – ABShepherd, Amazon.com. “A five star rating is a rare thing for me to give no matter how I obtained the book. A book must be really something for me to do so. This one is … This is an epic fantasy and when I finished it I felt ever so satisfied, yet wanting for more. What else could you ask for?” … Read the whole review here. 5 out of 5 – Oriax, Amazon.com. 5 out of 5 – Kettler61, Amazon.co.uk. 5 out of 5 – Dope Wrote, Amazon.co.uk. 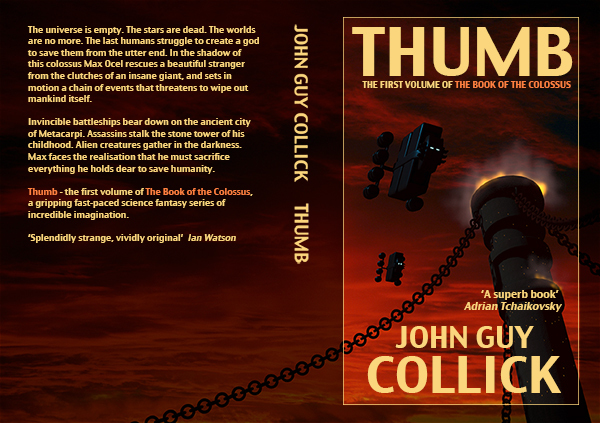 5 out of 5 – John Helliwell, Amazon.co.uk. 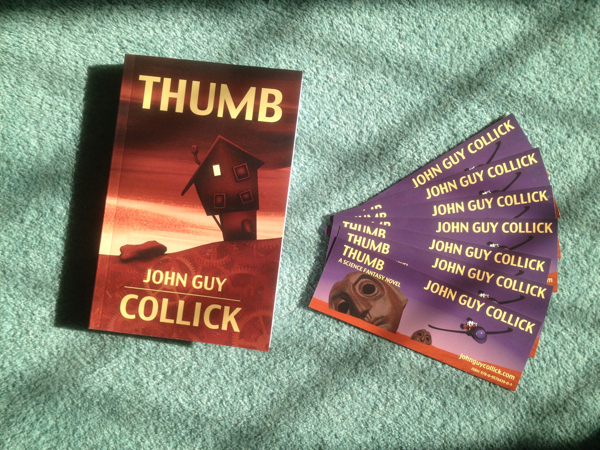 Thumb is also available in paperback from Amazon, priced $9.99 in the US, £7.99 in the UK and €11.17 in Europe.